If you’re looking to book a weekend getaway this fall (that doesn’t take the whole weekend just to get there), take a half-hour car ride to Lexington to enjoy the perfect staycation. 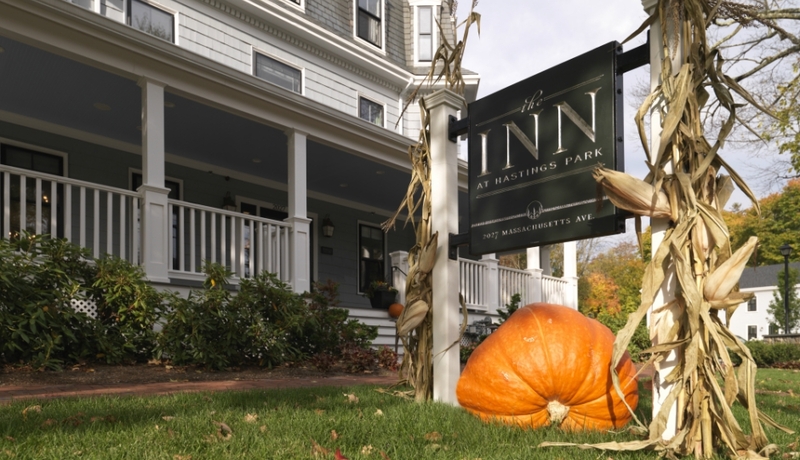 Only 15 miles from Boston, The Inn at Hastings Park is the quintessential autumn retreat. 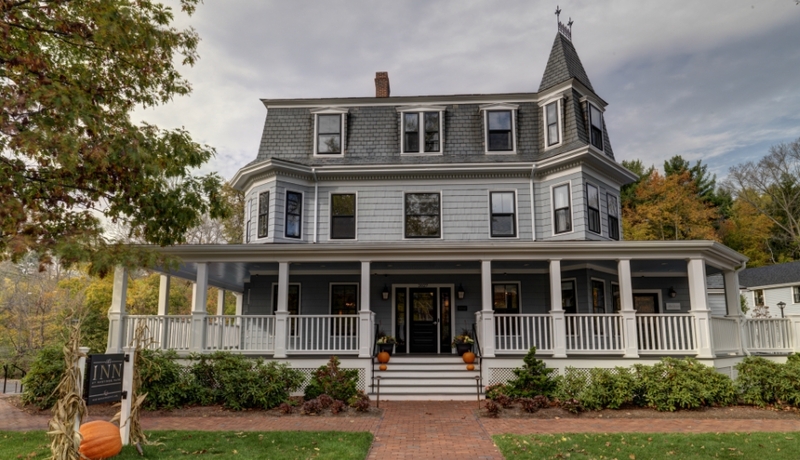 Complete with idyllic farm surroundings and Lexington Center, the boutique lodging is designed for history buffs. 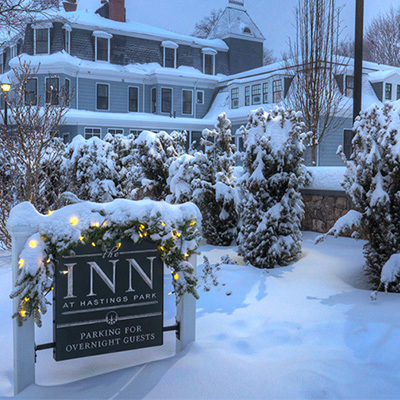 Comprised of three landmark buildings, each with a unique history dating back hundreds of years, The Inn is located just steps from the Battle Green where the first battle of the American Revolution was fought in 1775. Lexington offers more than 100 miles of bike trails extending in every direction, and The Inn offers a fleet of bicycles to lend its guests for exploring. Touring by foot or car, take a custom-menu picnic basket, a new offering at The Inn. Fall foliage provides a vibrant canvas to take a picnic to Walden Pond or the deCordova Museum, which showcases an outdoor sculpture park. The surrounding farms of Wilson, Drumlin, and Codman collectively offer tours, hayrides, fruit picking, harvest fairs, and barn dancing. Adventure seekers can get excited about The Inn’s exclusive offering of a helicopter tour of Paul Revere’s historic ride from Boston to Lexington. Aptly named “1 if by Land, 2 if by Sea, 3 if by Helicopter,” the tour takes passengers from Hanscom Field, a neighboring private airport, into Boston to view historic sites tying into American Revolutionary War history, then travels west over the journey taken to warn the Patriots that the Redcoats were coming. Foodies will find solace in Artistry at the Green, the award-winning restaurant now helmed by executive chef Stacy Cogswell. 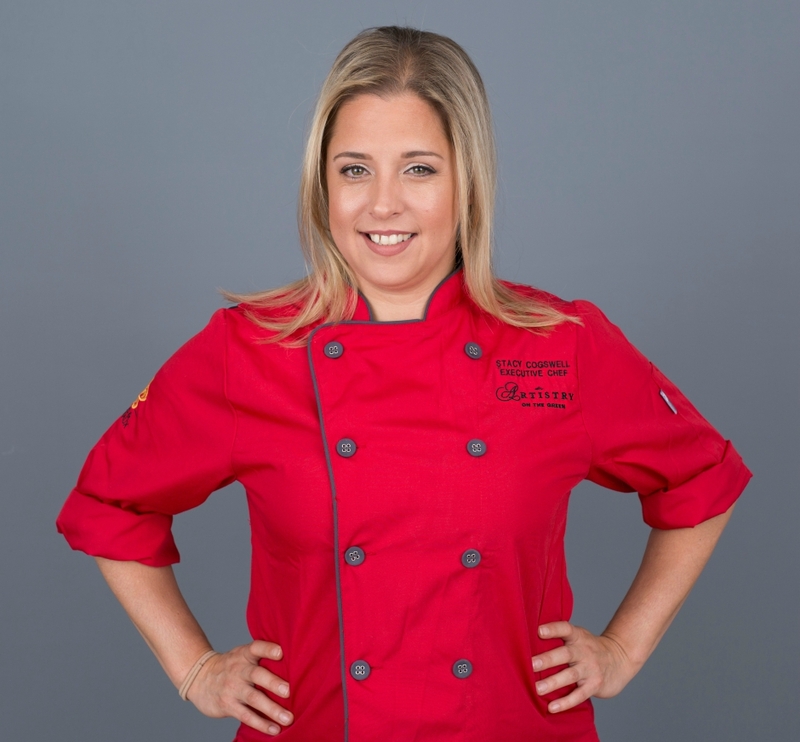 The Johnson & Wales culinary school graduate competed on Season 12 of Bravo’s reality TV show Top Chef. Cogswell is only a new addition to the long list of women in charge at The Inn, including the general manager and owner Trisha Kennealy, director of operations Agnes Hayes, director of sales Crista Oppenheim, creative director Melissa Stewart, director of public relations Kelley Doyle, and restaurant manager Tanja Sennick. The Wareham, Mass. native says she understands the importance of using local ingredients for unique regional cuisine. 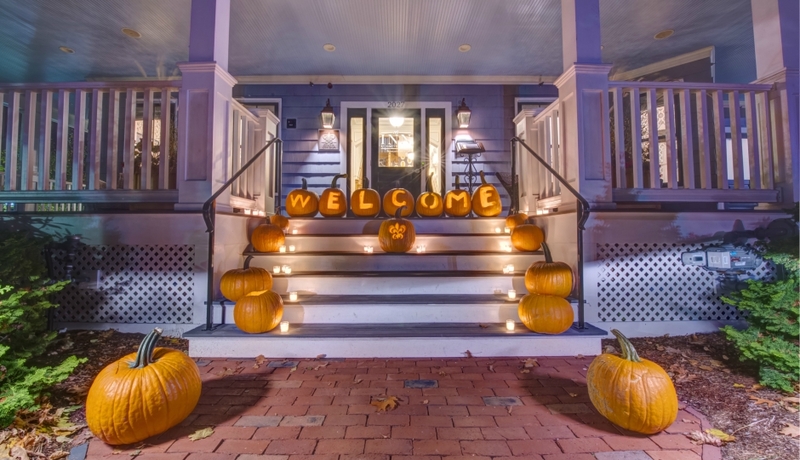 October is the prime time to schedule a visit to both The Inn and restaurant. In celebration of fall, Cogswell has prepared a German-inspired Oktoberfest menu for Wednesdays throughout the month, including beet and cranberry borsct, schweinebraten, and apfelstrudle. On October 11, The Inn partners with Harpoon Brewery to offer a special cuisine and beer tasting. And for a spooky spin on family fun, Halloween tea service will be offered on Saturday, October 28 and Sunday, October 29 with tasty tricks and treats for adults and kids. Find an autumnal oasis a little closer to home and book your stay at www.innathastingspark.com. For more information on Stacy and Artistry on the Green, click here.